So even though I don't really favor a live action Ben 10 movie because of reasons and issues that I believe I mentioned before, such as finding proper child actors for the main characters and setting up the aliens and all that stuff, there is something that really peaked my interest. Someone on the Ben 10 Reddit gave his/her opinion that John Goodman should portray Max Tennyson. Honestly, I can actually very much see that. John Goodman is a great and flexible actor and he most certainly looks the part for Max as well. In my opinion, if a live action Ben 10 movie does happen, I would prefer this actor for the role of Max. What do you guys think? 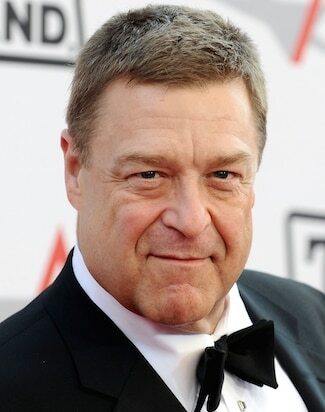 Does John Goodman seem suitable enough to portray the role of Max Tennyson in a live action Ben 10 movie or does anyone have a different actor in mind? @Tactical-Ochoa I can totally see John Goodman as Max. I could totally see john Goodman. While we are at it why dont we change this topic to casting suggestions for ben and gwen also. Who do you guys think would be good? @Omni-Triforcer Depends on what you're looking for. Teen Ben and Gwen or kid Ben and Gwen? Well we are most likely going to get a young ben and gwen for the movie so yeah that. But if you have suggestions for older ben and gwen feel free to post them. @Omni-Triforcer Honestly, I have no clue as to who can portray an older Ben and Gwen. @Tactical-Ochoa I have no idea for Ben yet, but I think Emma Watson could do a good older Gwen for some reason. What about young ben and gwen? @Omni-Triforcer Yeah, good luck with that. I believe I stated this before but child actors can be very difficult to work with and I don't know that many out there, if not none at all. So yeah, good luck finding child actors that can properly portray a 10-year-old Ben and Gwen and maybe even an 11-year-old Kevin; especially Kevin.